It’s important not to blame yourself for developing preeclampsia: there’s currently no absolute way to prevent it from happening. You can do some things that could lower your risk of getting preeclampsia, but there’s still no guarantee you won’t get it. As a preeclampsia or HELLP syndrome survivor, you may struggle as you try to make sense of what happened: Why me? Could I have done anything to prevent it? It's normal to feel that way, but rest assured: You are not in any way to blame for what happened. As expectant mothers, we’re so focused on our baby’s well-being that when preeclampsia strikes, we tend to blame ourselves. Sometimes that blame can also be imposed by well-meaning, but ultimately frustrating, loved ones or care providers. It’s very easy to confuse the idea that you somehow “caused” your preeclampsia with the understanding that there are some individual health risks for developing preeclampsia you can control. We don’t yet completely understand what causes preeclampsia, so there’s currently no way for you to absolutely prevent getting it. But we do understand some of the risk factors for developing it, so there are things you can do to reduce your risk. Understanding the difference between “disease prevention” and “risk reduction” is crucial. For an everyday example, consider hand-washing. While washing your hands helps reduce your risk of getting sick, it doesn't ensure you'll never get sick. If there are things you can to do move your chance of getting preeclampsia from the 3-in-4 chance end of the scale closer to the 50/50-even chance, or even the low "1 in 12" risk enjoyed by the general population, it’s a good idea to do it. There's no evidence, however, that you can do anything to move your personal risk to the zero (“impossible”) end of the scale. Individual health risk factors are all the situations that make someone more or less likely to develop a disease. 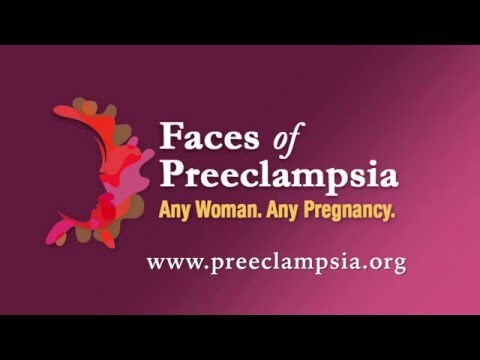 When we think about factors that influence our risk of getting preeclampsia, many of those factors are things that are completely out of our control, like being a first-time mom, genetics, or family history. Others factors are more or less controllable, like weight or how well controlled our blood pressure is going into our pregnancy. General population risk is the chance of something happening within a set group of people. For example, some research suggests that the general risk of developing preeclampsia in the U.S. may be as high as one in 12 pregnancies; other studies say it is much lower – like one in 25. Each patient goes into her pregnancy with a specific individual health risk (or likelihood) of developing preeclampsia. That risk may be more or less than that of the general population. Accepting risk is something we do every day of our lives. For example, getting into a car and driving to the grocery store is a calculated risk: you might get in a fatal accident along the way. Thankfully, the general population risk of getting into a fatal crash is fairly low, but it still occasionally happens. Strong, evidence-based research has shown that wearing a seatbelt greatly reduces your risk of dying because of a car accident. Wearing a seatbelt won’t prevent you from getting into a car accident. It may, however, save your life. So we accept our risk of a fatal car accident by driving every day... but we also wear our seatbelts. So too it is with preeclampsia. There are things we can do to reduce our risk. When possible, we should address those things. Some preeclampsia risk-reduction interventions are still being debated, such as taking low-dose aspirin. Low-dose aspirin doesn’t prevent preeclampsia for all individual patients, but it has been shown – through several research studies and combining their results into a “meta-analysis” – to lower that general population risk. That's why it's being widely recommended for women at high risk for preeclampsia. The same can be said for controlling your blood pressure or diabetes, or trying to start your pregnancy at a healthy weight. We know that unchecked high blood pressure, diabetes, or being overweight increases your risk of developing preeclampsia. Not improving these controllable risk factors doesn’t mean you caused your preeclampsia, any more than not wearing a seat belt caused your car accident. It does, however, serve our best interests to do everything possible to reduce the chances of something bad happening by addressing any of the “modifiable” risk factors that may apply to you through evidence-based risk reduction activities. That’s where self-responsibility and self-blame sometimes get improperly mixed together. It's important to remember that you might have controlled all these modifiable risk factors, but still developed preeclampsia or HELLP syndrome. It happens to many other women just like you. You might find yourself playing a “what if” game after your preeclamptic pregnancy. Recognize that “what ifs” rarely result in productive answers. Perhaps your answer provides the fire you need to advocate for your doctor’s office, local hospital, or even entire state to take up the new standard of care that includes patient education for every woman, every pregnancy. Perhaps your answer encourages you to volunteer for your local Promise Walk for Preeclampsia and provide support to local families. Knowing all this may help ease your mind about what happened to you. But if you still find yourself overwhelmed, know that you’re not alone: Many women who survive preeclampsia find the experience to be overwhelming, and for that reason, we encourage you to seek out counseling or other services to help you cope. A special thanks to Joy Victory and Heather Alonge of our Patient Advisory Council and Dr. Tom Easterling of our Medical Advisory Board for their review of this article.